Fast-paced, flexible and willing to Find-A-Way work environment. As one of Wisconsin’s largest travel companies and one of the elite “Top 20” in the US, we have experienced rapid growth in recent years. So much in fact, Inc. Magazine has named us one of the 5000 Fastest Growing Private Companies in America, 3 years in a row! This allows Fox World Travel to offer competitive salaries and benefits, while maintaining a special small company feel. We are committed to associate development and try to fill most of our positions from within, which means you'll have room to grow and advance your career. 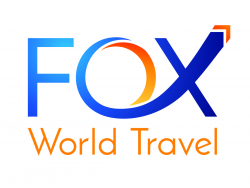 Email me jobs from Fox World Travel, Inc.